PORSCHE APPROVED CERTIFIED PRE-OWNED EXTENDED WARRANTY! 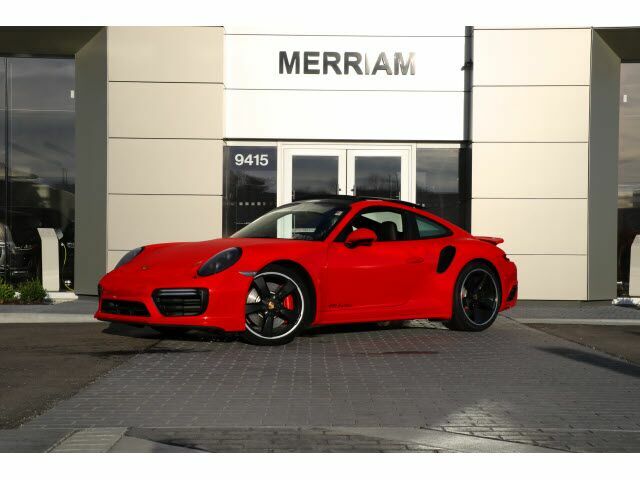 2017 911 Turbo Coupe in Guards Red over Black Leather interior with Deviated Stitching. Clean Carfax, LOADED with options: Heated and Ventilated Front Seats, Heated Multifunction Steering Wheel, Sport Design Side Mirrors, Smoking Package, Porsche Entry and Drive, Light Design Package, Electric Slide/Tilt Glass Sunroof, Painted Air Vent Slats, Carbon Fiber Interior Package, 20 inch Sport Classic Wheels Painted Black, LED Headlights in Black including Porsche Dynamic Light System Plus, Tinted Taillights, and More! Please Contact Brian Stacy 1-855-979-0255 to Test Drive Today! Aristocrat Motors, Kansas City's premier luxury dealer strives for the highest levels of customer service. Voted "Best in Business" by the readers of Ingram's magazine, our customers are our number one priority.